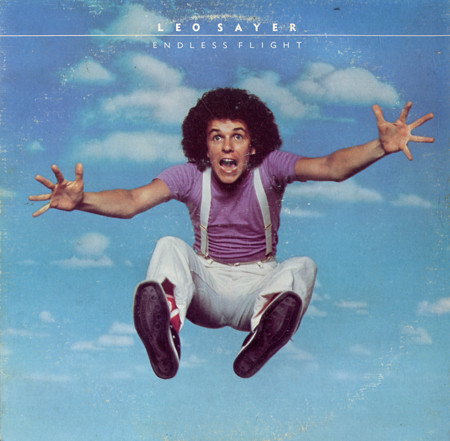 This was Leo Sayer's fourth album, and the one where he definitely abandoned the original singer-songwriter image that prevailed on his first three albums and he went mainstream, recording in the USA, collaborating with Barry Mann and Cynthia Weill on some songs, Vini (Ringo Starr's songwriting partner) Poncia on others and singing Carole Bayer Sager and Andrew Gold numbers too. The album was also exploiting the easy listening/disco market as opposed recording plaintive/bedsitter appeal songs. The cover still portrayed Sayer as a slightly crazy, quirky, clown-like figure, something he could never really shake off. Maybe he didn't want to. The punchy disco-ish feel is felt from the outset with a sort of Stax meets upbeat Van Morrison number in "Hold On To Your Love", with its infectious brass backing and confident Sayer vocal. This is as rocking as he had been this far. One of the albums two big hits was the catchy disco hit "You Make Me Feel Like Dancing", which utilised the falsetto vocal a year before The Bee Gees did a similar thing to great effect. A cover of Diana Ross & The Supremes' "Reflections" follows, delivered in a muscular, horn-driven way. It is enjoyable enough, though not a patch on the original. The huge, easy listening number one single was Albert Hammond/Carol Bayer Sager's "When I Need You", which for all its schmaltziness, is a classic pop ballad. It also contains a killer saxophone solo too. "No Business Like Love Business" is a blatant Van Morrison-style lively song that sounds like it comes from "His Band And The Street Choir" in many ways. "I Hear The Laughter" is a light, poppy number, that sounds sort of Cliff Richard-ish. "Magdalena" is an early Elton John meets Al Stewart gentle, laid-back song, while the third single from the album, "How Much Love" has a thumping, Motown-influenced beat and a strong vocal. It has a bit of a Four Tops feel, for me. "I Think We Fell In Love Too Fast" also has echoes of Elton John. 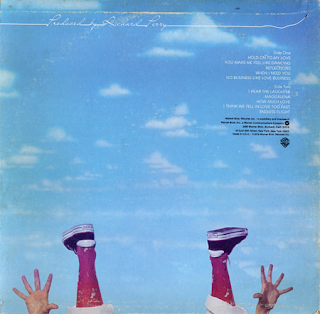 Andrew Gold's "Endless Flight" is an evocative, grandiose, piano-driven ballad to end the album which employs Elton John's string producer Paul Buckmaster and drummer Nigel Olsson and you can't half tell. It is a really good track. Although a lot of the raw appeal of Sayer's early albums was lost on this album, it was definitely his most polished in both its instrumentation and sound quality. It is a pleasant Sunday afternoon's listen in its unthreatening way. It never got better than this for Leo Sayer, though. This was his commercial and artistic high point.